This beautiful purple stained glass oil burner plugs into the wall and is great as a night light. No need for fire with the use of this. 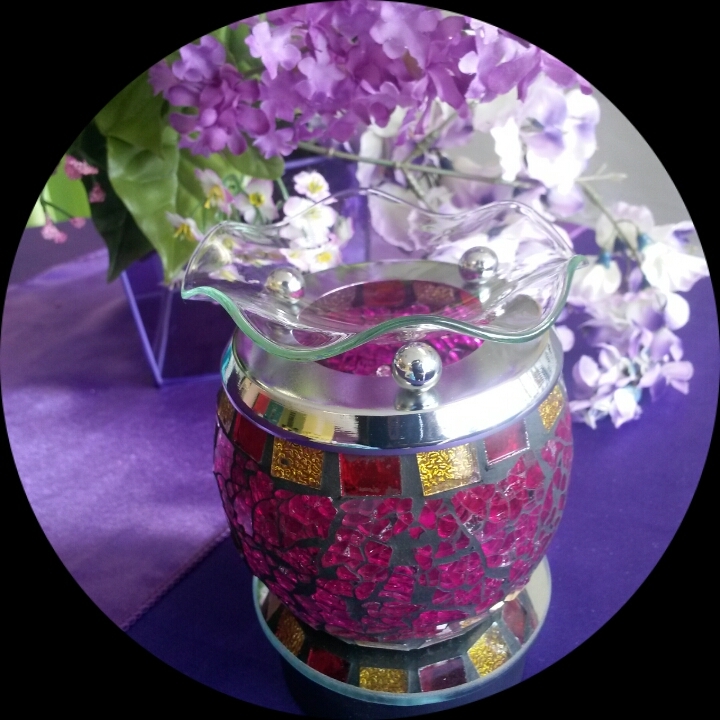 Use fragrance oil or wax tarts to burn your favorite fragrance in this lamp. This also has a dimmer switch on it to control the temperature of the lamp as well as the light.